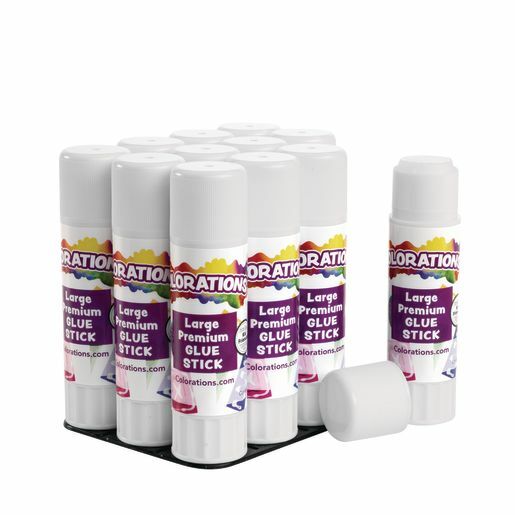 Specially formulated to glide on smoother than other glue sticks. Barrel is easy for children to hold and apply. Fully washable. Goes on white and dries clear. Each stick .88 oz. Set of 12 comes in storage tray. ASTM D-4326 tested. Non-toxic.